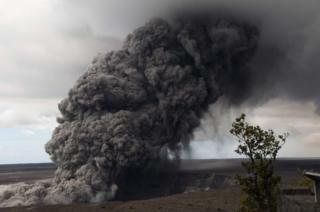 In early May, one of Hawaii's active volcanoes - which helped create the islands - erupted. Volcanic gases have been erupting from fissures ever since, producing dramatic photographs and video. Two weeks later, it is still erupting. 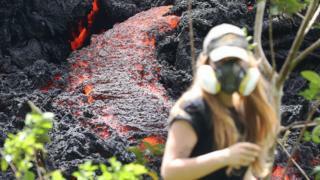 Here, volcanologists Tamsin Mather and David Pyle from Oxford University explain what's happening beneath the surface. 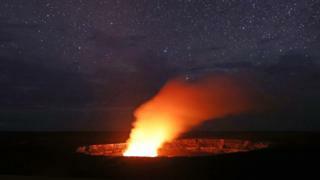 Kīlauea volcano is the most active volcano on Hawaii's Big Island. 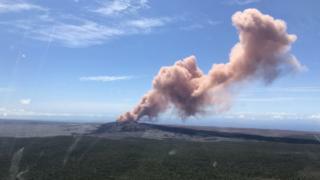 There has been an ongoing eruption to the east of the summit in the East Rift Zone since 1983, mainly centred around the Pu'u 'Ō'ō vent. 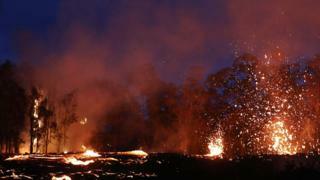 Lava fountains and flows have covered more than 144 sq km and added more than 443 acres of new land to the island. 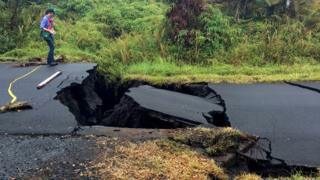 As of 2016, lava flows had already destroyed 215 structures and buried 14.3 km of roads. 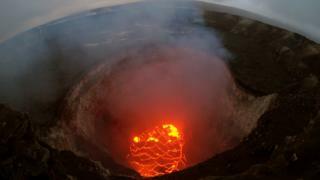 In 2008 a new gas vent opened up at Kīlauea's summit in the Halema'uma'u crater. Over the following months and years, this slowly developed into a lava lake. During March and April this year the lava level rose, and lava began to spill out across the crater floor. Just two weeks later, the lava had dropped out of sight. Kīlauea lavas are among the hottest on Earth. After magma spills out of the fissure, the surface quickly crusts over, forming a shell. Inside, though, the lava is still red hot - and mobile. As the whole mass of lava creeps forward, the blocks and plates of cooled lava are carried along, giving the whole the appearance of a jumble of loose blocks. 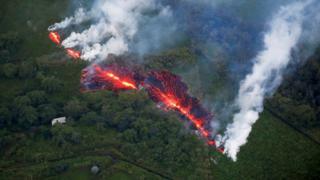 In places, fresh lava breaks out from inside the flow, to form a narrow stream. The emerging lava is red-hot at the opening, and progressively crinkles and crusts over as it flows downhill. 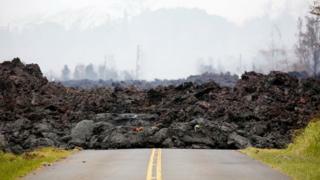 Reality Check: What stops eruptions of lava? Geologists have been watching Kīlauea continuously since 1912, and have developed a simple understanding of how the magma flows under Kīlauea. It rises out of the Earth's mantle under the summit, and then flows along subterranean fractures beneath the East Rift Zone. In this phase of the eruption, the movement of the magma is causing new fractures to open at the surface. Some of these fractures just let hot gases escape; others turn into open fissures, erupting fiery curtains of lava. The steady lowering of the lava lake within Halema'umaʻu at the summit of Kīlauea raised the potential for explosive eruptions as the lava column drops to the level of groundwater beneath the volcano. The mixing of groundwater with the hot magma can cause steam-driven explosions. 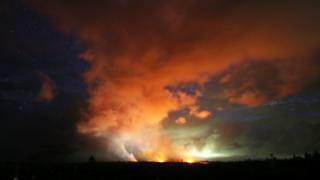 Seventeen fissures have opened so far in the lower East Rift Zone spewing out dangerous lava and gases. Some of these gases, such as sulphur dioxide, reduce air quality and cause breathing problems, especially among risk groups such as asthmatics. Activity can change rapidly and is hard to predict precisely. Future outbreaks could occur both uprift (southwest) and downrift (northeast) of the existing fissures – or existing fissures can be reactivated. 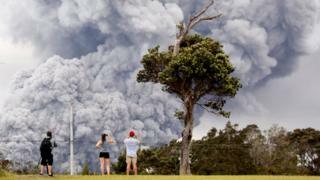 Tamsin Mather and David Pyle are volcanologists and both professors at Oxford University's Department of Earth Sciences.